"On a Clear Day I Can't See My Sister"
Springfield Glacier is a rapidly melting glacier located near Springfield. Lisa, Bart and several other students visit it as part of a school trip. Unfortunately, the glacier has melted heavily, becoming little more than a lake. 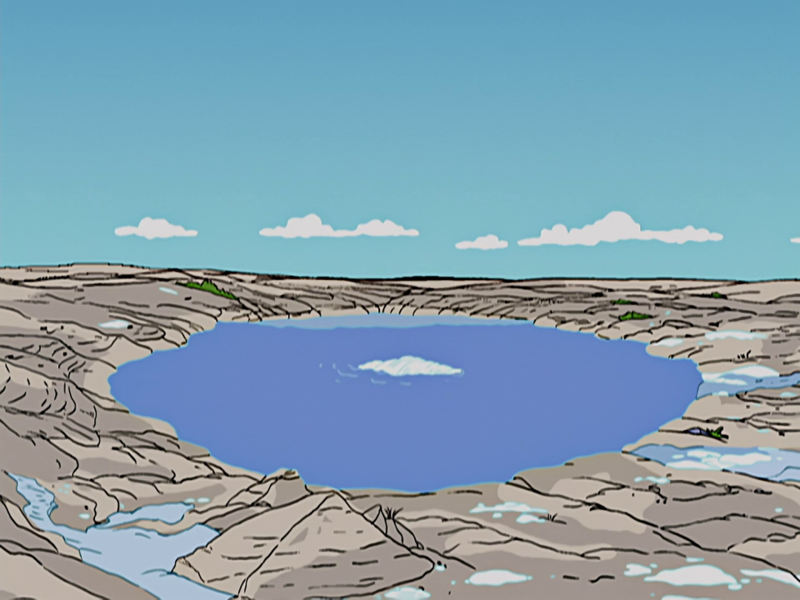 Lisa claims that the melting must be due to global warming. The park ranger disputes this, saying that the government’s position on global warming is that it does not exist. Modified on December 23, 2016, at 12:19.